The Academy for Comprehensive Achievement Preschool serves children ages 3-5 years with 2 sessions Monday through Thursday. We are open Fall, Spring and Summer to help prepare your child for success in school and we now accept Childcare Assistance. 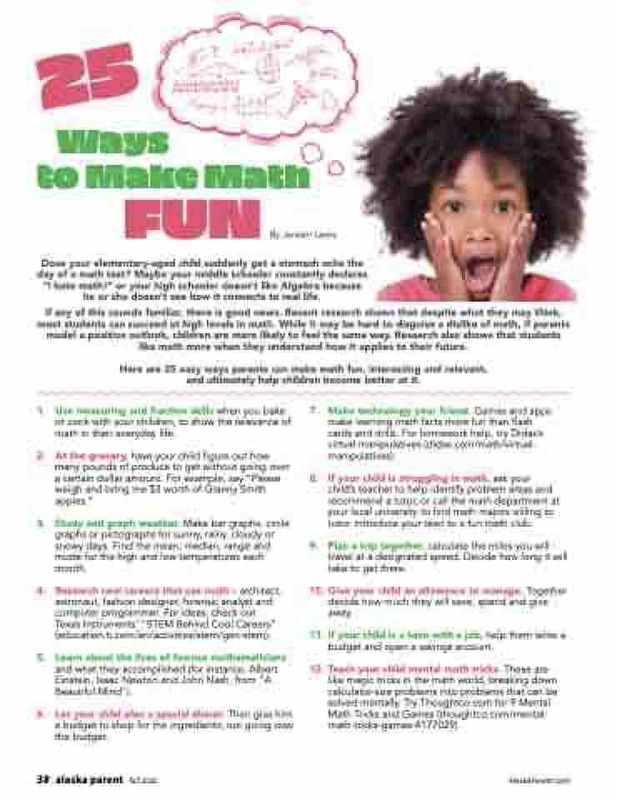 Get your student ready for math success at the AK Math Academy! We believe math should be interesting and fun. Our instruction includes games, field trips and guest speakers. By focusing just on math, we can teach in two weeks the instruction your student would receive in two months in a regular classroom! Taught by experienced and certified math teachers, we’ll create memories and get your student ready for a great year in math! your child to go in depth into the subjects that interest them the most! All camp materials are provided as well as weekly take-home projects. In Anchorage: 2650 E. Northern Lights Blvd. In Anchorage: 5201 E. Tudor Rd. ; and 10931 O’Malley Centre Dr. In Eagle River: 12001 Business Blvd. In Wasilla: 1720 Parks Hwy. The Alaska Club Fun Camps offer healthy, active, fun and creative activities, swimming and a variety of sports to keep kids moving all year long. Our caring, creative energetic staff bring the fun to every camp. We’re excited to get messy, inspire ideas, try new things and get moving with your kids. We can’t wait to see you! gain confidence, and have lots of fun. fast paced tempo keeps kids active and engaged. Tues/Wed/Thurs each week of the summer. Morning session 10:30 am- 12:30 pm, afternoon session 1:00-3:00 pm. First session starts Tuesday, May 28th.